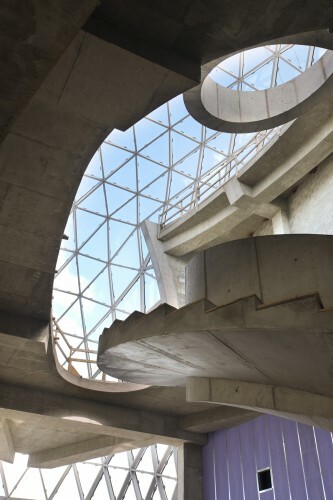 HOK, along with Beck Group, has designed a new museum to house the works of Salvador Dalí in St. Petersburg, Florida. 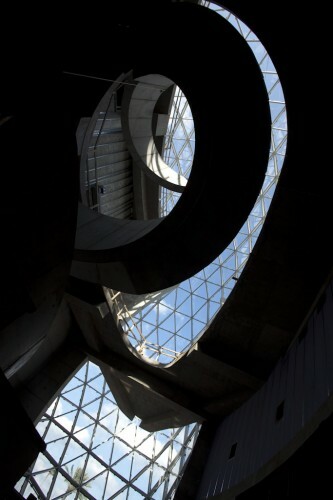 The architecture, greatly inspired by the great surrealist, “combines elements of the classical and the fantastical,” according to the director of the museum. The design speaks to the essence of Dalí while incorporating functional elements to combat Florida’s tough weather. 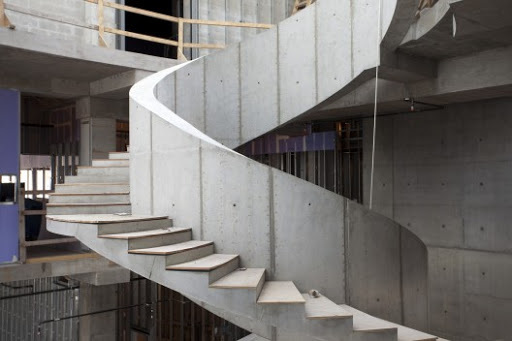 Since Florida is prone to powerful hurricanes, the art is located above the flood plane and housed within cast-in-place reinforced 18” thick concrete walls. The museum can protect the prized collection from up to a Category 5 hurricane storm surge and 165mph winds. 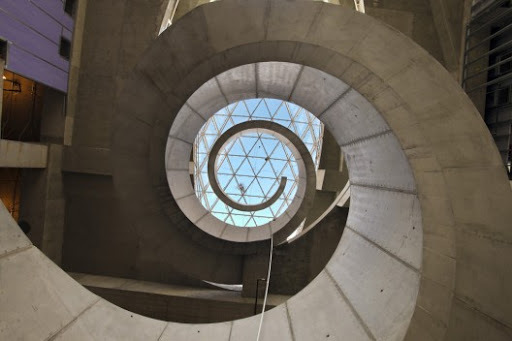 While the concrete protects the art, this “treasure box” is broken and disrupted by the organic, triangulated glass “Enigma.” The glass is seen as “contrast between the rational world of the conscious and the more intuitive, surprising natural world” – a recurring theme of Dalí’s work. This glass “Enigma” has a specific connection to Dali, as he greatly admired the work of Buckminster Fuller, who developed the geodesic dome. Restricted by the technology of the time, Fuller was limited to experimenting with platonic solid and great circle geometries. Yet, recent modern technology, using computer analysis and digitally controlled fabrication, allows each component to be unique. No glass panel, structural node or strut is precisely the same, and all are identified by bar code to facilitate fabrication, shipping and assembly. 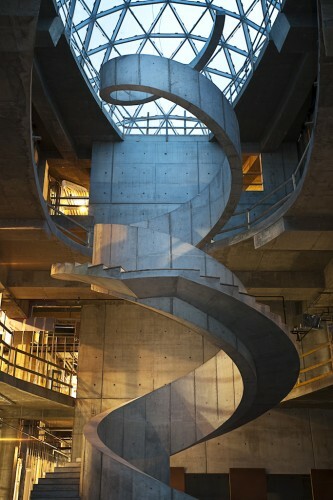 “This has permitted us to create a family of shapes which while structurally robust more closely resembles the flow of liquids in nature,” added the architects. This is the first use of this type of free-form geodesic geometry in the United States. Opening to Public 1/11/11, at 11:00 a.m.